I give you another set of Spiral Gameshop games from "Sidequest: Kindred Spirit". 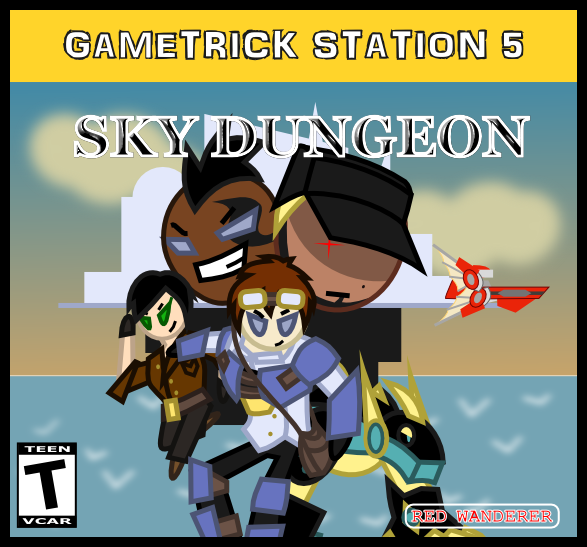 Now you can see games exclusive to Gametrick Station 5. Not the most popular console there is, but overall that console family may give CyberTech consoles a run for their money at times. "The war is waging between the two empires! 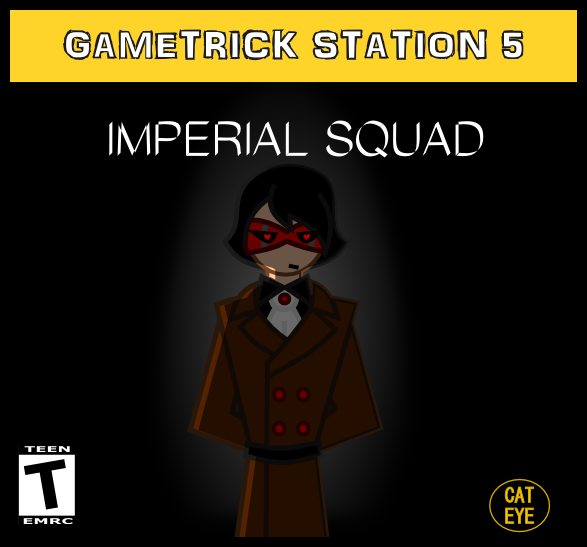 Follow the Imperial Ranger and his loyal squad to uncover the conspiracy behind the bloodshed! - Take control of a squad that you lead to victory! - Exciting boss battles against the enemy generals! - Explore the brand-new world in war!" 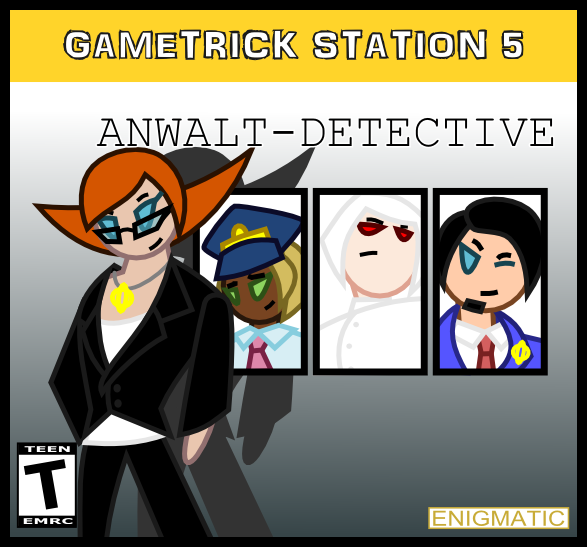 "Sonata Nachtlich is a novice anwalt-detective, a law enforcer who can both investigate a case and serve as either defense attorney or a prosecution attorney. Not only that, but they are the ones who oversee the interdimensional law enforcement. "The ultimate judges", they say. Confused yet? So is our heroine. Follow Sonata on her quest for justice! - Find clues and present it to the court! - 5 criminal cases to solve!" So, once upon a time I promised to show my readers the game shown in the background of Spiral Gameshop in "Sidequest: Kindred Spirit", since I made those quite detailed. And we start with the games that appeared with labels of both videogame platforms shown in the sidequest. 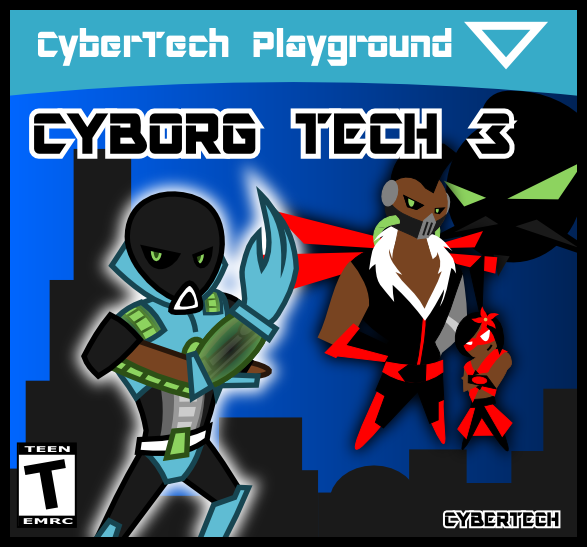 Platform: CyberTech Playground, Gametrick Station 5. "Villains united! Malevolent Dr. Zhang and his opportunistic nephews, Vick and Rex, joined forces to unleash their united strength onto the world! Take control of Evelyn Tech, the brave Renegade Hunter, to uncover and foil the diabolous schemes! - 15 hunters playable in Multiplayer Mode! - New and old enemies in "Renegade Hunt" Mode! The game is based on real events." "Discover the secrets of the sunken world with Zen and the crew of Scarlet Dragon! Challenged by greedy bountry hunters and malevolent militaristic pirates, the Scarlet Dragon aims to discover the ancient technologies before they can be used to bring destruction upon the world. - Over 15 dungeons to explore! - Stop captain Tano's pirates from unleashing the power of the Sky Dungeon!" "Over the skies and beneath the ground races rage between competitive angels and demons! 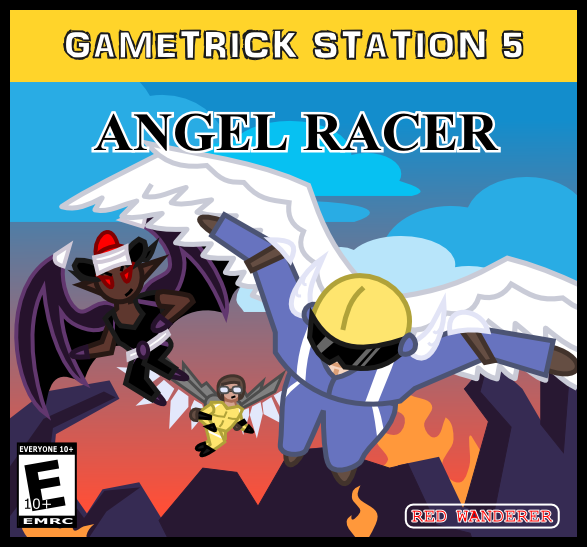 Join Nathanael and take the first place in every single race against a variety of opponents! - 16 racers with varying abilities! - Solve the long-standing feud between the skies and the underground in the Story Mode!" 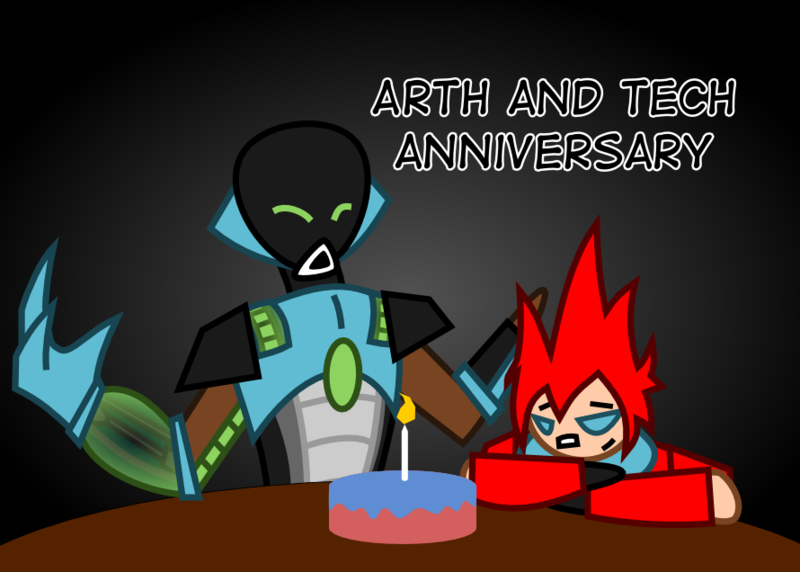 I'm happy and proud to announce that it's been a year since I've been releasing "Arth and Tech" comic. Well, including the original strip series. The first strips were releasing exactly one year ago. Though my comic isn't exactly popular, it doesn't have many subscribers or regular readers, there are still some of these. And that means that I may have been doing something right for a whole year. Thus, I celebrate the FIRST ANNIVERSARY of "Arth and Tech" series! My little success, so to speak. Holidays are over and it's once again time for me to bring you the joy of reading my comics! Now, those of you familiar with the original "Arth and Tech" comic strips series might have noticed that the later strips fell into a story structure similar to that of "Adventures". That's because they follow the same storyline. 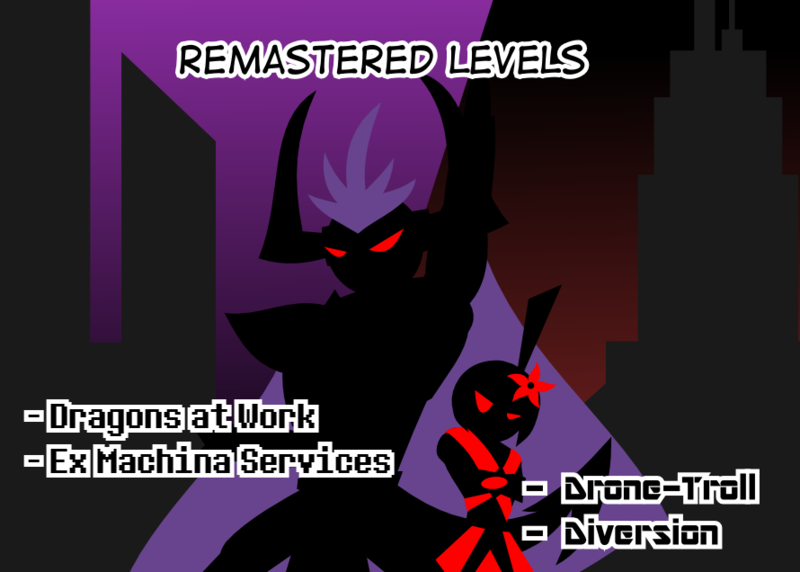 Thus, to avoid confusion, I will remaster those "levels", updating some details and dialogue in progress. There are four arcs for you to read, so HO and BEHOLD! Also, given that I only have to edit and compile the pages rather than drawing them from scratch, I will be releasing two pages per releasing day (Monday/Thursday). Gentlemen, ladies, gentleladies. 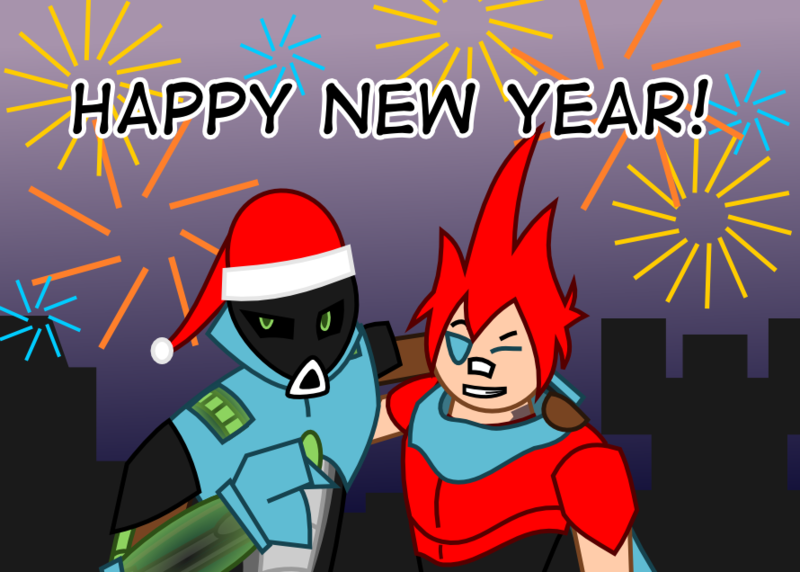 The Phantom congradulates you all with New Year. You know, Christmas isn't THAT big of a deal in my country, but New Year, on the other hand... ho-ho-ho! Now THAT's the biggest celebration of the year! Singing, drinking, exchanging presents! I finally get to meet my co-author who comes to visit basically from the other side of country. Spend your time with your friends and family - I know I'll spend it with mine! Happiness, luck and wealth to every single one of my readers, that's what I wish to you! Oh, and health, of course. Health is most important. Happy New Year, happy pals!